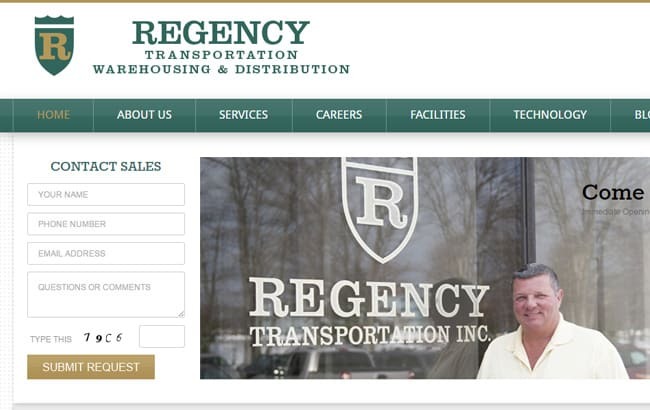 Regency Transportation and Regency Warehousing & Distribution have been in business since 1985. 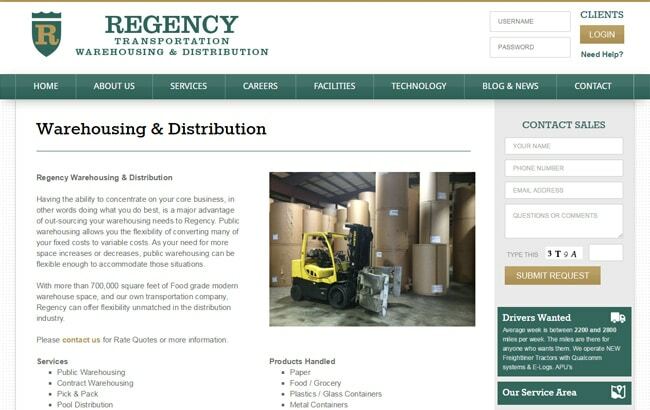 They currently own a fleet of 150 tractors, 700 trailers and a half-million square feet of warehousing space in six locations. 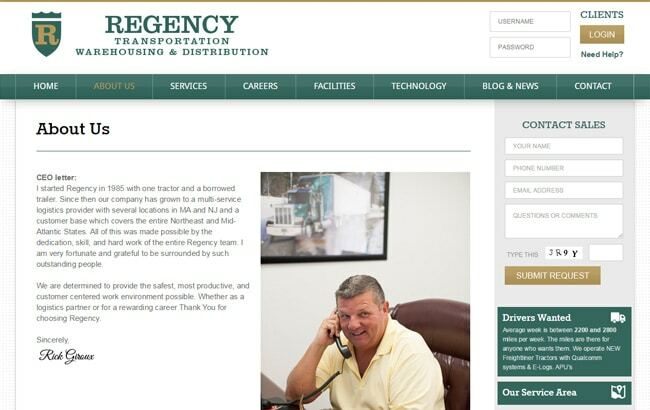 GoingClear was brought in to redesign the Regency's old website because it had become outdated and as an respected name in the transportation business, their website did not reflect the level of sophistication that the company already reached. 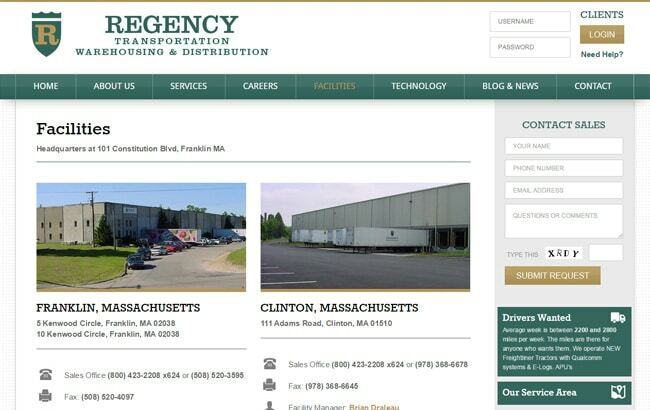 GoingClear provided a much more modern design and useful upgrades like a client login area. 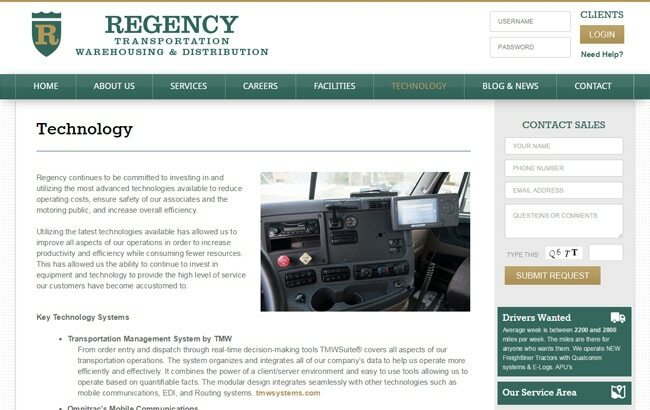 Other additions include a customer logo scroll bar, personalized blog, and customized service area map graphic. 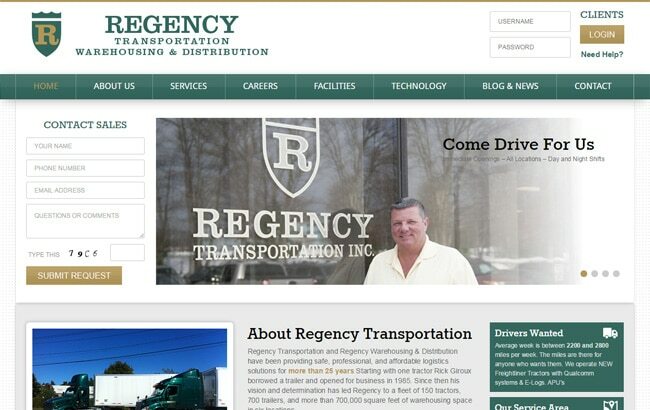 The new Regency Transportation website is also Fully Responsive and mobile and tablet friendly so visitors are guaranteed to have a meaningful experience with high-quality photos no matter where they are.